Determination isn’t enough to get you and your belongings all the way from Orlando to Georgia. 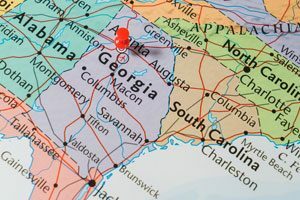 Skill and training are required to ensure long distance moving from Orlando to Georgia goes according to plan. That means hiring the moving professionals at AAA Insta-Move. Since 1997, we’ve been creating and executing custom moving plans for residents throughout Orlando and beyond. As a ProMover with the American Moving and Storage Association, we’re able to stay up-to-date on all the latest moving technology and techniques that will ensure you get the kind of moving experience you deserve. A long-distance relocation can be a logistical nightmare. 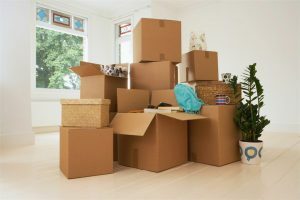 From figuring out where you’re going to get boxes and packing materials to ensuring you’re out of your current residence and into your new one by a certain date, it’s no wonder hiring a professional moving company is recommended. We’re also proud to offer many different storage solutions, which includes mobile and warehouse storage options, that can be added to your moving plan! Moving from Orlando to Georgia is like putting together a puzzle. Every piece needs to fall in place to ensure it goes smoothly. That’s exactly what our movers in Orlando can do for you. Give us a call to get more information about our long distance moves or fill out our online form to request a free estimate today!